I have all of my exams and essays finished at last in my night time degree course for this term so I hope to post more regularly on this blog over the summer. Adele, Gwyneth, three acts from the Eurovision, Yasmin, Calvin Harris feat Kelis, Lady Antebellum and Gaga were the new songs I liked over the past seven days. All have been featured on recent posts. Here's Adele singing Turning Tables on David Letterman's show. Regular readers here will know that Nicola Roberts has always been the most favourite member of Girls Aloud. Nicola's debut single is called Beat Of My Drum is out on June 5th and the short sample that has been released is a v good sign that it will be a great pop song. 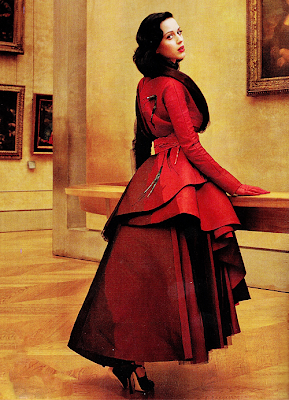 I hope her solo music career will be the most successful of all the girls. Here's Nicola in studio and that short music clip. I have never watched a full episode of Glee. I find a lot of the characters annoying, I hate most of the song and dance routines, I dislike the way that Glee covers have dominated the lower half of the UK charts and that most pop songs seem to get the Glee makeover. I look forward to seeing songs that are completely not suitable for them to cover. I hate the way that almost ever Gaga single will be covered on the show from now on. Recently there was a gag about mixing up the term lesbian and Lebanese but that was blatantly ripped off from a classic Golden Girls TV moment decades ago. I know that Glee has a v positive message in general but I am often uncomfortable with it's 'ok to be different' themes. I think if I was a gay teenager I would have some issues with the show than feeling completely positive about how gay issues are depicted. I hope in popular culture that we move beyond labeling people as different even if it is meant for the best. I am completely judging Glee from watching bits of episodes and if I followed it's narrative from the first show I may have a different opinion but I think I often am more interested in people who don't think that ever aspect of shows like Glee is perfect. 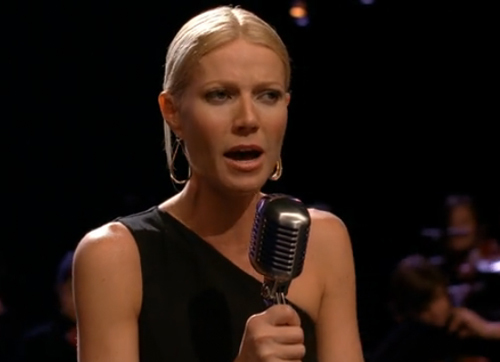 There have been moments that I have enjoyed and one was Gwyneth Paltrow singing Turning Tables. I didn't realize that it was Adele's song so I just heard Gwyneth singing this beautiful song and it was later that I listened to the original Adele version. I think of both versions when i hear that song, the cover was gorgeous but ultimately it is Adele's song and always will be. I also loved Gwyneth's songs on the Country Strong soundtrack but I think she is one of those celebrities that the general public could regard as doing too much; she's a movie and television actress, a singer of pop and country, has her own website and now also has a cookbook. I think that even in this celebrity culture we still regard an actress as just that unless she's a mega-star like Barbra Streisand. In a way, no matter how famous someone is they are labelled too. Here's both versions of Turning Tables. 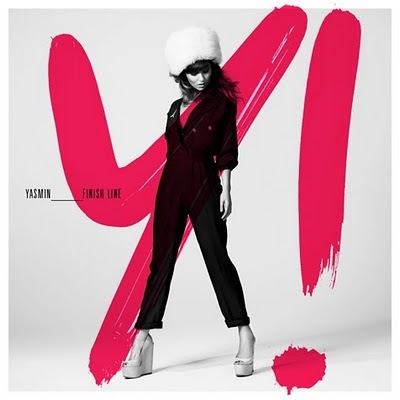 Yasmin was expected to have a big debut in the UK charts with her debut solo single On My Own earlier this year but it just got to number 39. Her second single Finish Line has already done much better and charted at number 13 on last Sundays UK singles chart. The Freemasons Pegasus Club remix is poptastic and here it is. and an extended mix too. A mash up of two songs stood out for me over the past two weeks. 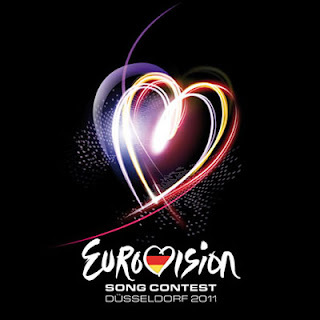 Rolling in a Deep Wicked Game is a mix by Pheugoo of Adele's Rolling In The Deep and Chris Isaak's Wicked Game. 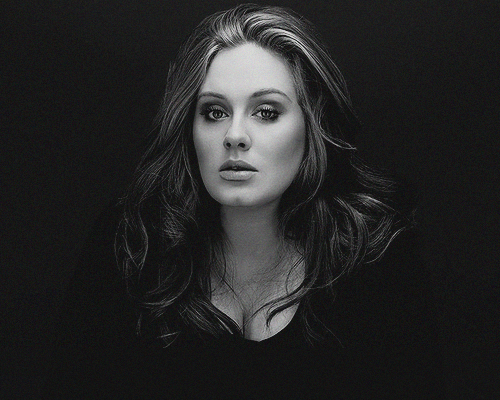 Chris Isaak's vocals from Wicked Game only comes in at the very end which allows that beautiful instrumental to let Adele's vocals stand out as much as the do on the original. The video which is featured below is by Panos T who works with my favourite mash up artist Robin Skouteris. I think Rolling In The Deep is one of the best American number one singles in a long time. It's amazing to think it just got to number two in the UK. I love her new album which I only bought last week. Katy Perry's Last Friday Night (T.G.I.F) has been given an almighty remix. I think most American remixes should have a cheerleader chant. Bounce is the newest single from Calvin Harris. Kelis is the featured vocalist. The video is below. Beyonce 's Move your Body was my most listened to song the first week of this month. 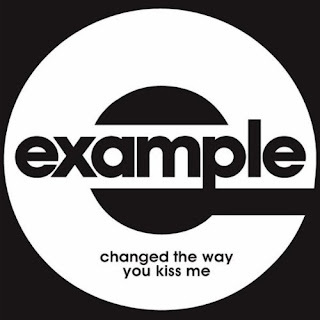 Another song that stood out was Example's Changed The Way you Kiss Me which is released in the UK on June 6th and should give him a second top ten hit following Unorthodox, his collaboration with Wretch 32. The last week in April was Royal Wedding week so George Michael's You and I was one of my most listened to songs. However Kylie's glorious Put Your Hands Up (If you Need Love) was my most favourite song of that week. It was also a week when Beyonce disappointed all over the world with Run The World (Girls) but it got me listening to Major Lazer's Pon De Floor instead. Since Kelly Rowland's Motivation was released a few weeks ago it has climbed slowly but surely up the Billboard Hot 100.